Capri Community Beach Deck just a few steps away! 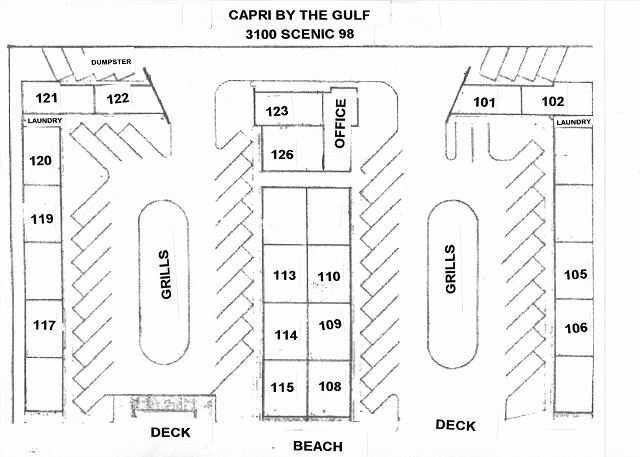 Capri by the Gulf offers 4 community grills with Gulf Views! 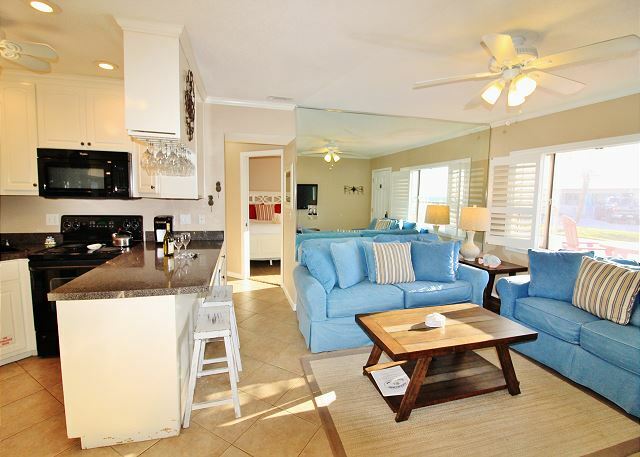 Thank you for sharing your review for Capri by the Gulf #110 in Destin, FL. 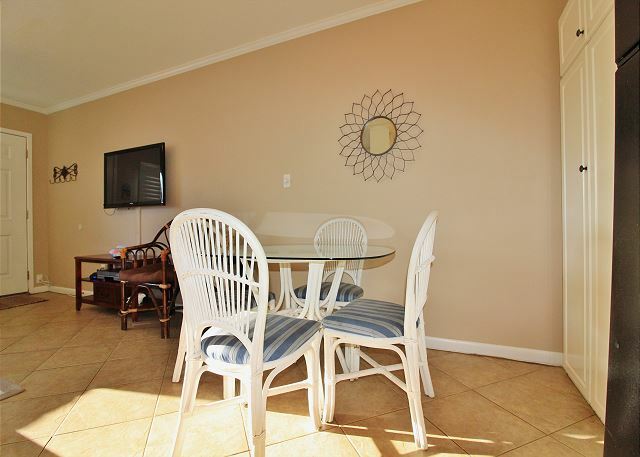 We are very happy to hear that you all had a great stay at the beach in this beautiful Destin condo, and that you so enjoyed the complimentary beach service! We hope to welcome you all back again soon as our guests at the beach at Capri by the Gulf in Destin! We stay every yeart at this location. Always the best experience. 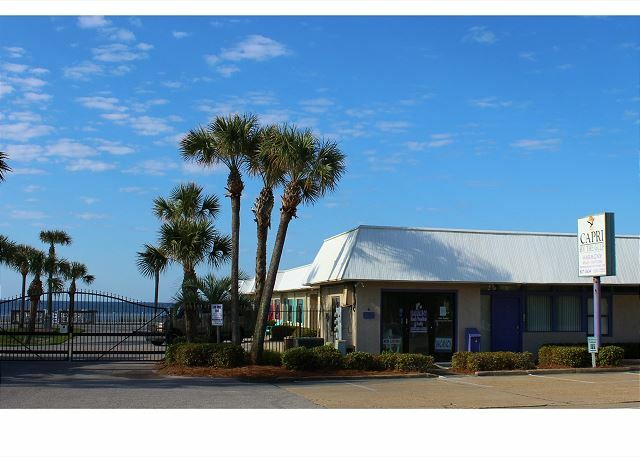 Beach access and managament very accommodating. Sweet place. Thank you for sharing your review for Capri by the Gulf #110. 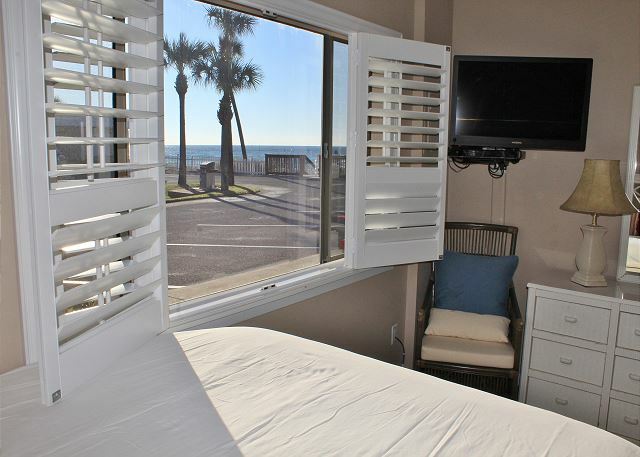 We are so pleased to know that you all had an awesome stay at the beach in this beautiful beach condo! We hope to be welcoming you all back again soon for another 'best' here at Capri by the Gulf in beautiful Destin, FL! Excellent location, we've stayed at several units over the last 5 years, always come back for more. Thank you for your review for Capri by the Gulf #110. 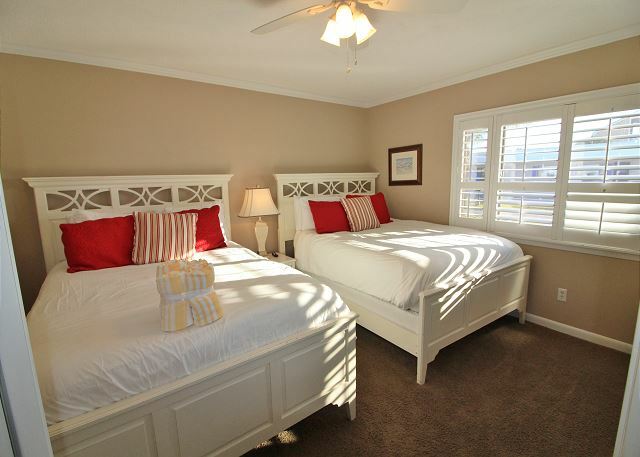 We are delighted to know that you all had another wonderful beach vacation stay here at the Capri in Destin! We hope to welcome you all back again soon as our guests for another excellent beach vacation stay here on Florida's Emerald Coast! Worth it over and over again! We couldn't have been more pleased. Upon arrival, the room was very clean, cool, and a bottle of wine was waiting for us. We enjoyed cooking in our room and being so close to everything including being steps away from the beach. Thank you for sharing your review for Capri by the Gulf #110. 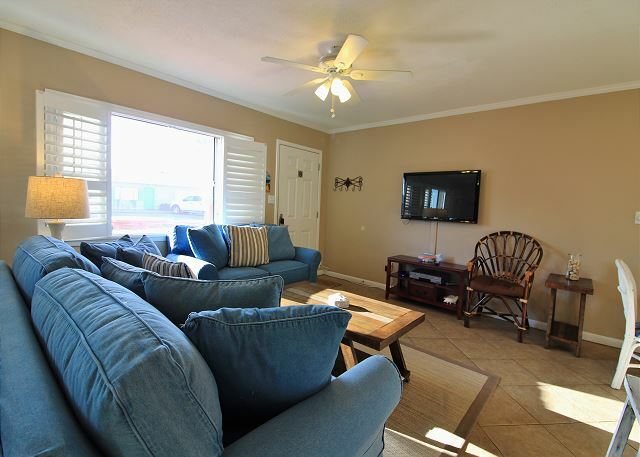 We are so pleased to know that you all had a wonderful stay with us and that you so enjoyed this beautiful home, as well as the great beach front location, and being near area attractions! We hope to welcome you all back again soon as our guests for another stay with us here at the Beach in beautiful Destin, FL at Capri by the Gulf! Thank you for sharing your review. We are glad to hear that you had a good stay with us! We are sorry the beds were too tall for what you were comfortable with, and we thank you for your suggestion. We do share our guests' comments with homeowners for them to consider when making updates to their homes. We hope to welcome you back again soon for another beach vacation stay with us here at the Capri! Thank you for your review for Capri by the Gulf #110. We appreciate having you all as our guests over the years and we're delighted to know that you all had another wonderful experience on your beach vacation stay with us here at the Capri in Destin! We look forward to welcoming you all back again soon as our guests here at the Beach in Destin. Thank You! Enjoyed a nice, quiet and relaxing stay. Thank you for sharing your review for Capri by the Gulf #110. 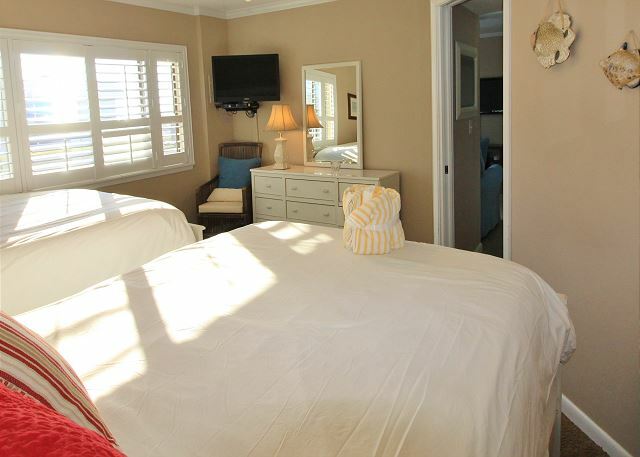 We are pleased to hear that you had an enjoyable stay in this beautiful home! 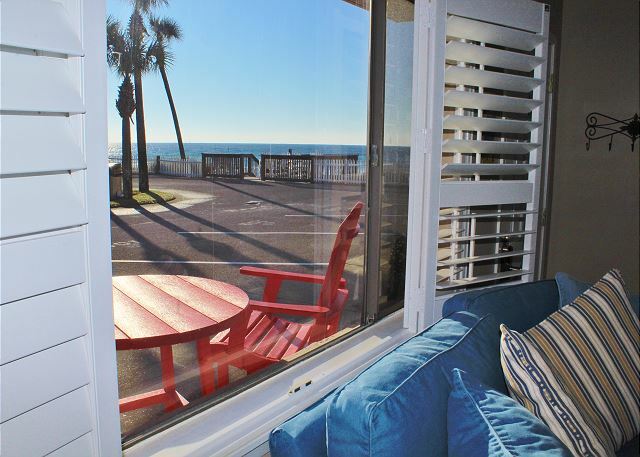 We hope to welcome you back again soon for another relaxing stay with us here at the beach in Destin! This is our 5th stay in these condos and each time has been incredible. Each condo has been clean (we’ve never stayed in the same condo twice), had everything you need to cook/sleep. The location and access to the beach could not be better. The staff are friendly, helpful and just genuinely pleasant to work with. We will never stay anywhere else!!! We so much appreciate your very kind review! We are delighted to have you all as our return guests over the past few years and we're so pleased to know that you all had another wonderful stay with us here at Capri by the Gulf in Destin! We will be sure to share your kind words with our team. We desire to make our guests feel special and to help each guest have a perfect beach vacation, and we're so happy to hear that our efforts were appreciated! Thank you! We hope to welcome you all back again real soon as our guests here on the Emerald Coast! We stayed in 110 and just loved the apartment! 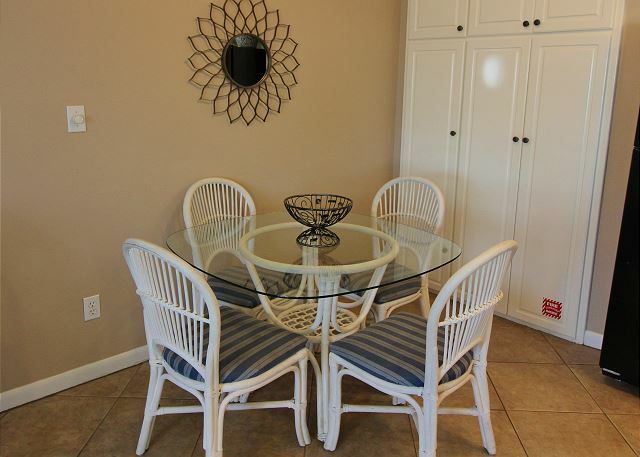 The place was clean and provided all we needed to be able to enjoy ourselves while vacationing in Destin! We enjoyed our stay very much! The folks in the office were very nice and helpful! The one thing we did notice was the grills provided outside needed updating... and they needed gas! I've stayed at Capriprobably 10 or more times because of its easy access to the beach & the convienance to everything! Thank you for your review of Capri by the Gulf #110. We appreciate having you all as our guests over the years at the Capri and we're so happy to hear that you had another wonderful vacation stay with us! We thank you for your kind words and for the A+++! We're sorry the grills were low on gas, and we hope that you were able to let our onsite office know, we would have been happy to fill the tanks. We would love to welcome you all back real soon as our guests at the Capri here in beautiful Destin, FL! The rental process was quick and easy. The staff were amazing at keeping me up to date. The paperwork was ready and waiting when we arrived for check in, so that only took a few minutes and we were ready to hit the beach. The condo was very clean, and up to date! The beds were very comfortable as well. We will definitely be staying here again!!! Thank you for sharing your review for Capri by the Gulf #110. We are delighted to hear that you so enjoyed your stay in this beautiful home! We're also very pleased to know that we were able to offer helpful assistance and that you found the rental process quick and easy. We look forward to having you all back soon as our guests at the beach in Destin, FL! Sometimes it Rains in Heaven! 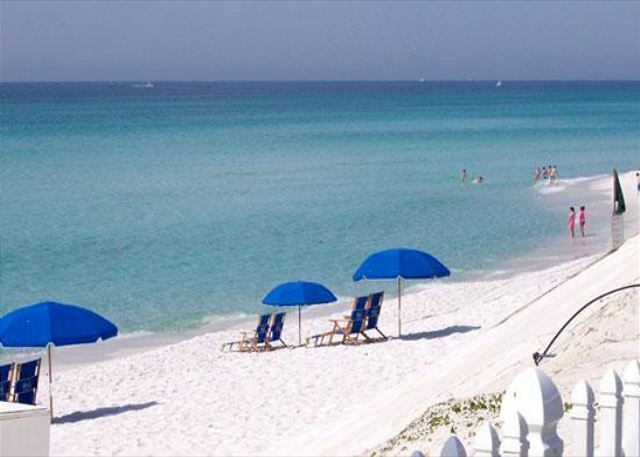 A trip to Destin must include a stay at the Capri by the Gulf. It's the only way to go - walking out the door and onto the beach is just Heaven. And even though it rained for a little while - you just can't beat a day on the beach - white sand, sun, rain and all! Thank you for sharing your review. We are so pleased to hear that you enjoyed your stay with us and we would love to welcome you back for another wonderful vacation stay here at the Capri! We give Capri 5 stars all the way.Our favorite place to vacation each year. Keep up the good work and we hope to see you again soon. Thank you for sharing your review for Capri by the Gulf #110. We are so pleased to know that your favorite place to vacation is here at the Capri, and that you so enjoyed your stay with us! We would love to welcome you back again soon as our guests in Destin, FL! Harmony was such a pleasure to help accomodate our guest for our Beach Wedding 4/22/2017. We had some of our bridesmaids stay here and they absolutely loved their stay. We even booked Beach Blessing their beach house the same weekend to accomodate the rest of our bridal party. Both places were great. Thank you for sharing your review. We are so pleased to know that you all had a pleasant experience for your Wedding weekend vacation here in Destin! We are also very happy to know that you all enjoyed both Capri by the Gulf and Beach Blessing! We hope to welcome you all back again real soon for another wonderful beach vacation here on the Emerald Coast! Outstanding!! Staff is top notch and will do anything to make our stay welcome. Thank you for your review and for your kind words for our staff. W'e'll be sure to pass that along to them, our staff loves to hear that their efforts were appreciated by our guests! We very much appreciate having you all as our guests and we are so happy that we were able to offer assistance to you during your stay with us! We would be delighted to welcome you all back soon for another wonderful Beach Vacation here at Capri by the Gulf in Destin! As always, completely satisfactory. Office personnel, helpful and kind. Thank you for sharing your review for Capri by the Gulf #110. We are so excited to know that you all had another nice stay with us and we appreciate having you all returning as our guests in Destin! We hope to welcome you back real soon for another wonderful beach vacation! Thank you for your review. We are delighted to hear that you were very satisfied with your vacation home at Capri by the Gulf #110! We would be happy to welcome you back soon for another Beach Vacation in Destin, FL! Thank you for sharing your review. We are happy to know that you always enjoy your stay with us at Capri by the Gulf, and we appreciate having you as our guest. 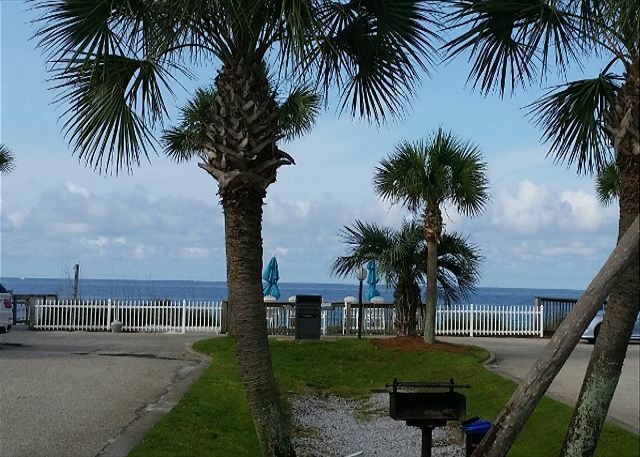 We hope to welcome you back soon for another wonderful vacation at the Beach in Destin! Thank you for sharing your review for Capri by the Gulf #110. We are so happy to hear that you had an Awesome vacation stay with us at the Capri, and we would love to welcome you back soon as our guest in beautiful Destin, FL! We loved Capri 110! I was initially struck by how clean everything was when we arrived. Every inch of the bathroom was pristine, even the baseboards, and it only took a matter or hours for us to track sand in, so they did an excellent job of removing all sand from the previous guest! 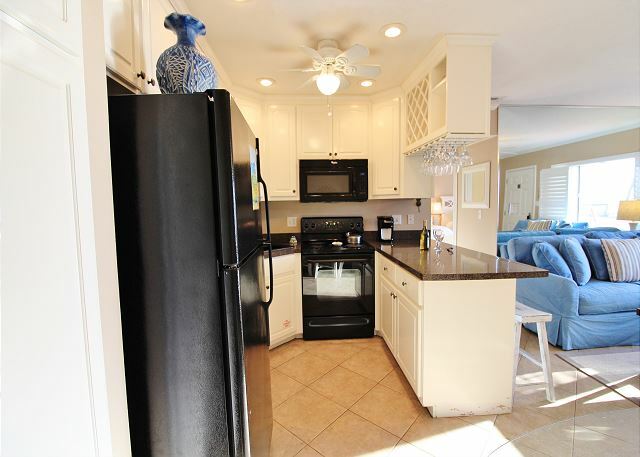 Everything in the condo was in great, new condition and the property was easy to access. We loved being able to park right outside our door- the little things you don't get from big condo towers! 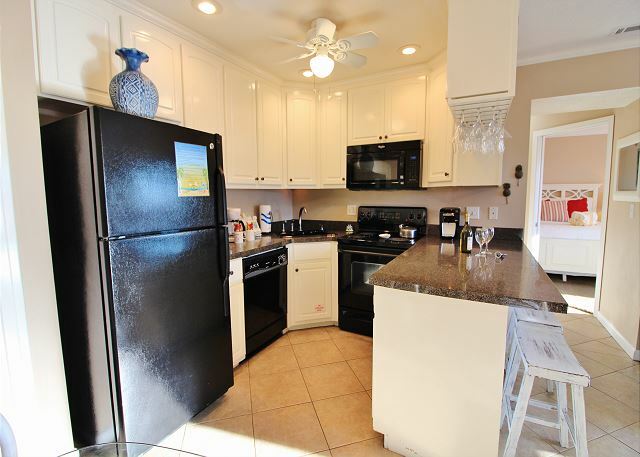 Convenient, short drive to groceries and restaurants and shopping. The beach was clean, not too crowded in mid August. Had some issues with electronics and they had them fixed by the end of the day! Absolutely no complaints!! Would definitely pick 110 again. Thank you for sharing your review for Capri by the Gulf #110. We are quite pleased to hear that you all so loved this beautiful home and that you enjoyed a relaxing stay with us! We are also happy to hear that you enjoyed the beach and the area around the Capri. We would love to welcome you all back soon as our guests in Destin, FL! Thank you for sharing your review for Capri by the Gulf #110. We are so pleased to hear that you all had a relaxing stay and that you enjoyed the location, as well as the condo itself! We hope to have you all back soon as our guests in Destin, FL! Convienent! Clean! Safe! Great customer service and communication!! Thank you for sharing your kind review. 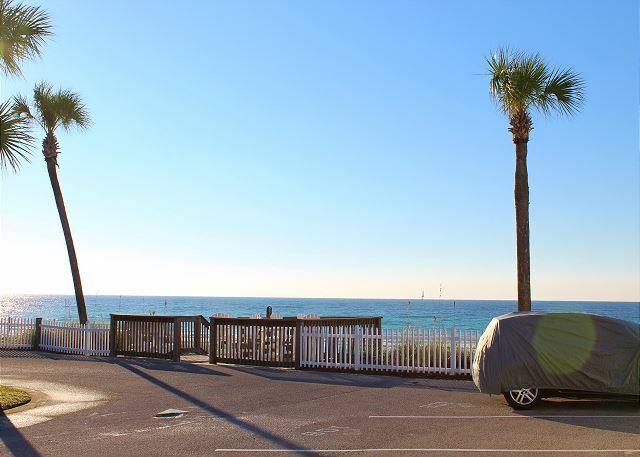 We appreciate having you as our guests at Capri by the Gulf #110 and we are so pleased to know that you all had an outstanding beach vacation stay with us! We hope to have you all back soon as our guests at the Beach in Destin, FL! This was a great getaway! Thank you for sharing your review for Capri by the Gulf #110. We are delighted to hear that you all had an Amazing stay with us at this beachfront community and that you enjoyed the app! We hope to have you all back real soon as our guests in Destin! Our family has enjoyed staying at the Capri by the Gulf many times. This was our first time to stay in unit 110. It's our new favorite! You will not be disappointed! Thank you for your review of Capri by the Gulf #110. 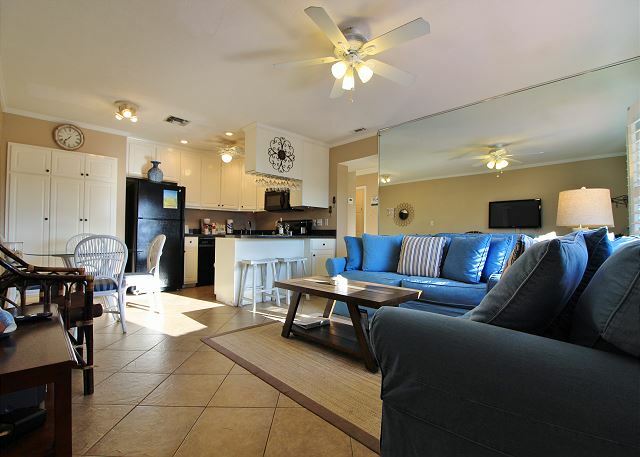 We are so pleased to hear that you all had a Fabulous Family Vacation stay with us in this beautiful home and we hope to have you all back soon as our guests at your favorite Capri condo in Destin, FL! One of a kind! 5 stars place! We will be back! I read the reviews before decide to rent this place but the experience was 100 times better. The place is very clean, confortable. The staff very friendly and helpful. You can shop for groceries and cook inside the place. You can make your own barbecue right in front the place, while watching the beach. Thank you for sharing your kind review. We are so pleased to hear that you had a wonderful stay with us at Capri by the Gulf #110 and we thank you for your 5 star rating! 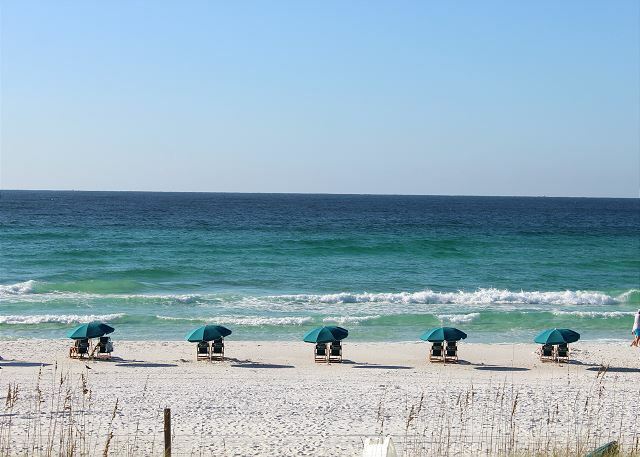 We hope to have you back soon as our guests at the Beach in Destin! We have stayed at the Capri several times. Each time has been great. 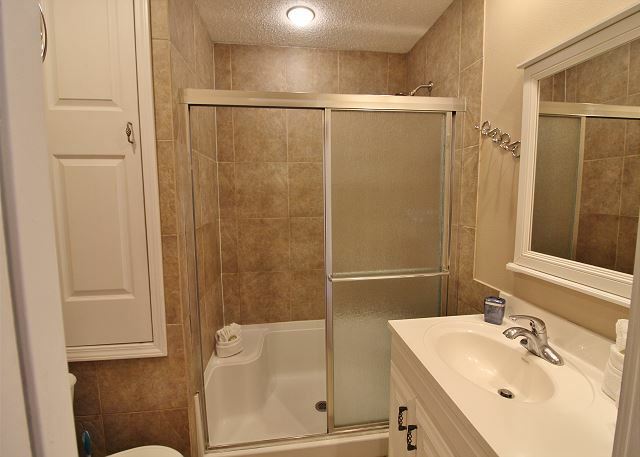 the property is very well maintained and clean. The location is busy streets to cross to get to the beach. Parking right at your door is wonderful. the management is very friendly and helpful. We are already looking forward to our next trip to Florida and the Capri by the Gulf. Thank you for taking the time to share your review for Capri by the Gulf. 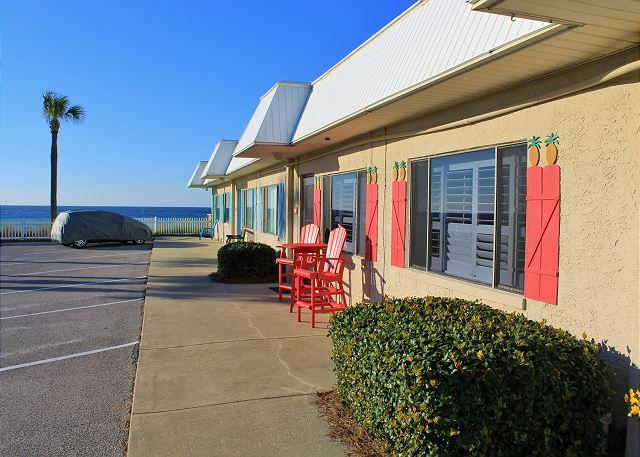 We are so pleased to hear that you had a wonderful stay with us again and we appreciate having you back year after year as our guests at the Beach! We look forward to having you back real soon! Thank you for sharing you review. We are so pleased that you all enjoyed your stay with us and we look forward to having you back as our guests on the Emerald Coast! Thank you for sharing your review. We appreciate having our wonderful guests such as yourselves coming back year after year and we hope to have you back real soon! Each year my family travels from all across the south to Destin to spend the Thanksgiving Holiday together. We know that we can count on The Capri to be in tip top shape! It's always the perfect location for a relaxing Holiday break. Thank you for sharing your review. We have enjoyed having your family as our guests at the Capri and we look forward to having you all back so you can keep your Family Beach Vacation tradition going! I have stayed in various places over the years visiting Destin, including those with balconies overlooking the ocean and I was always curious about Capri By the Gulf for its quaint 50's look. I have to say that this is probably my new-found vacation spot! 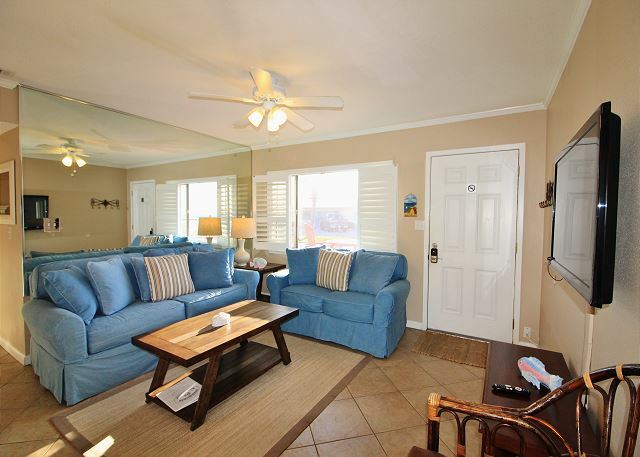 Within steps from the beach with a common deck space to meet your neighbors (which one neighbor shared a wonderful local hidden restaurant) and to view the dolphins swimming by daily, it was so nice to walk into this updated condo. A complimentary bottle of wine greeted us and I have to say that this was probably the cleanest condo I have ever stayed in! I didn't even feel that I needed to clean before moving in. 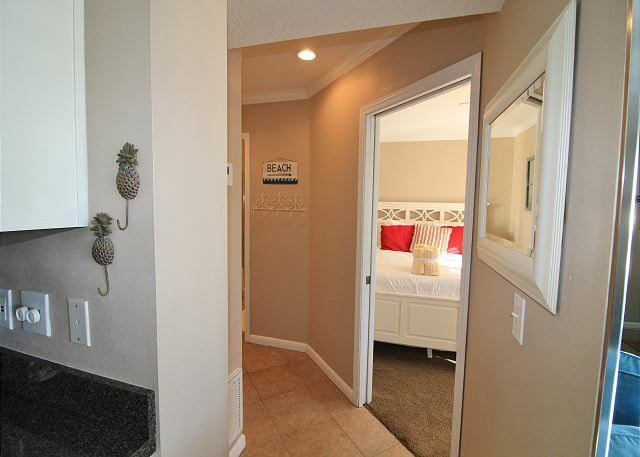 Beautifully and tastefully decorated, the pictures do not do it justice. Updated, spacious bathroom and bedroom with various levels of pillows for your comfort (I usually bring my own as there usually isn't many options) and the beds were very sumptuous. The front desk ladies were so friendly and accomodating as we arrived way before check-in. The beach service which includes two chairs and umbrella is a must and it's posted as a private beach, so crowding was not a problem. I think this property is more accomodating for adults than those with children. Laundry facility on site although we did not use it. Will be staying in this condo again in the future! Thank you for sharing your kind review. We are so delighted to hear that you all enjoyed your stay at Capri by the Gulf so much and that we can look forward to having you back as our guests! Thank you for adding details that future guests can consider when booking their vacation home. We welcome you back anytime! We had an excellent stay in Capri 110. 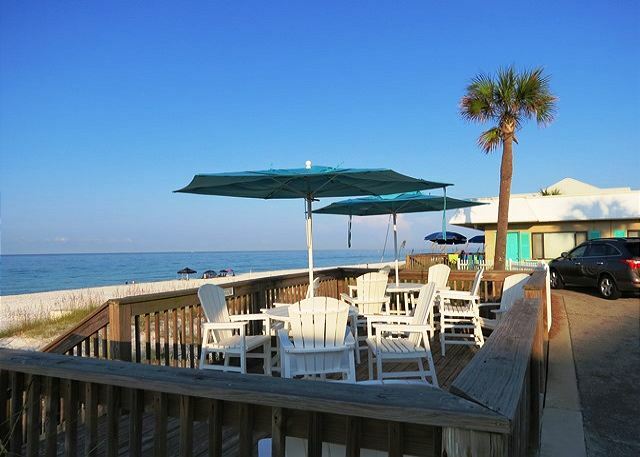 The staff was helpful and kind, the condo was right on the beach, and the beach and beach service were amazing. Destin is one of our favorite destinations, and we will definitely be making it back to the Capri. Thank you for sharing your kind review. We are so pleased that you all enjoyed your stay with us and we would love to have you back as our guests anytime! Thank you for sharing your review. We are happy to hear you had a wonderful stay with us and we hope to have you back soon as our guests on the Emerald Coast! We have stayed at the Capri for 7 summer vacations! We love it and have already booked our 2016 vacation!!! Thank you for sharing your review. We truly appreciate our valued guests such as yourselves and we look forward to having you back soon as our guests! Capri by the Gulf 110 was great for our family. We had a wonderful time. 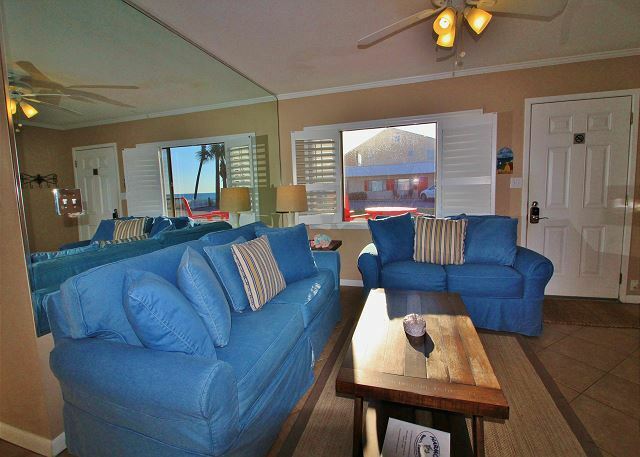 The unit was clean, nicely furnished, and best of all, on the beach! We loved it! Thank you for sharing your review. We are so pleased that you all had a wonderful stay with us and we hope to have you back on the beach again soon! Also, shopping & food less than 5 mins away. My Wife and I had a great vaca here. Thank you for sharing your review. We are so pleased that you all had a beautiful stay with us! We hope to have you back soon as our guests at Capri by the Gulf! Always a winning combination: great overall experience; beautiful room; wonderful weather; and, excellent customer service! I have been to Destin a number of times, always stayed at Capri. It's like home away from home, quiet, comfortable, right on the beach. Capri is a perfect place to stay to lounge on the beach or to use as a base camp from which to take in local excursions. At the end of the day, there is a clean room and a soft bed to fall into. I will likely stay at Capri for all of my future visits to Destin. Thank you for sharing your review. We're so pleased that you all enjoyed your stay with us and we look forward to having you back as our guests very soon! 2nd stay, beautiful property, excellent service. Thank you for sharing your review. We appreciate having you as our guests and we hope to have you back as our guests soon! Overall the stay was more than satisfactory, with only one notable exception. The shower door is dangerously damaged, and should be replaced. Thank you for sharing your review. We are very happy that you all enjoyed your stay on the Gulf! We appreciate your input about the shower door and we'll check into this immediately. We hope to have you back as our guests soon! A pleasure and value! The staff were very friendly and helpful! Our first time in Destin and it won't be our last time. We look forward to going back and staying there! 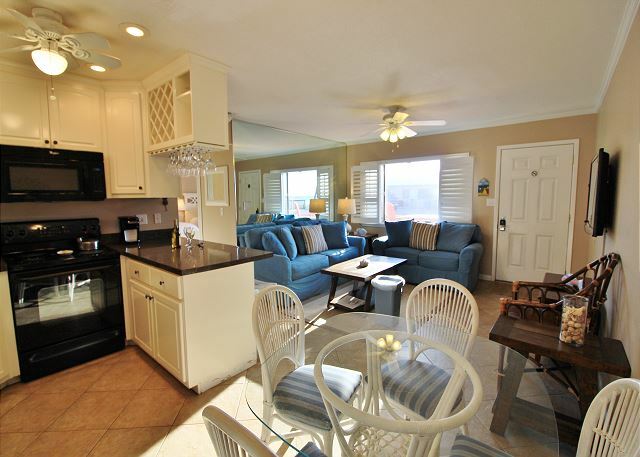 Perfect place for a quiet person that enjoys the beach and the ocean and privacy. The beach chairs and umbrella included in the cost is an indescribable luxury---you can just quietly go to the beach and sit down---no worries or hassle. I love the adirondike chairs and the sitting area overlooking the beach by the stairs.